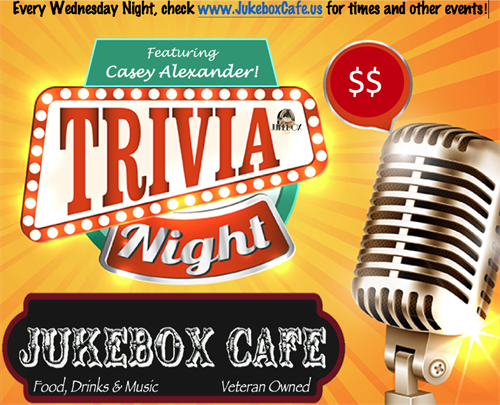 Come try out Trivia at Jukebox Cafe. Hosted by Casey Alexander. View trivia questions on all our large screen tv's. Trivia is addicting so you may want to come back every Wednesday for more.